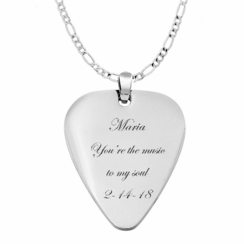 Our engraved stainless steel guitar pick pendant makes a great addition to the guitar slide. 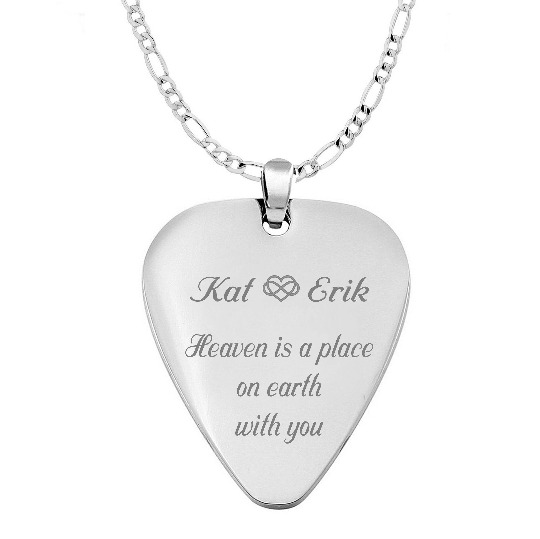 Our personalized silver guitar pick necklace pendants can be engraved on both sides with any name or message. 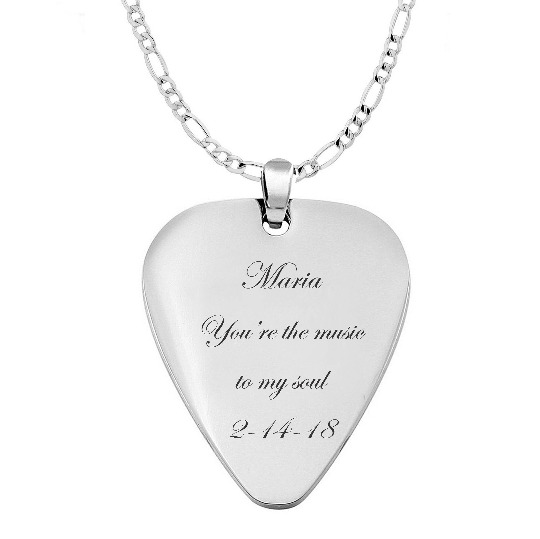 These custom engraved guitar pick necklaces make great gifts for any guitarist or music lover. The stainless steel chain is 24" long Figaro chain. The pendant is made from a high polish 316L Stainless Steel treated with Chromium for extra protection which gives them a cool reflective shine. This corrosion resistance necklace can be personalized with the name or text choice. Great as a gift to someone special.